I thought it is time to start a collection my watercolour tutorials! It’s been more than a year now since I picked up watercolour. I fell in love with it immediately after the first try. If you are someone who has been standing by and watching watercolour for a while, or you have started but not sure what to do. You are in the right place. I will be posting more watercolour pieces, and hopefully, that will be helpful for you. Or even better, you tell me what you want to know! 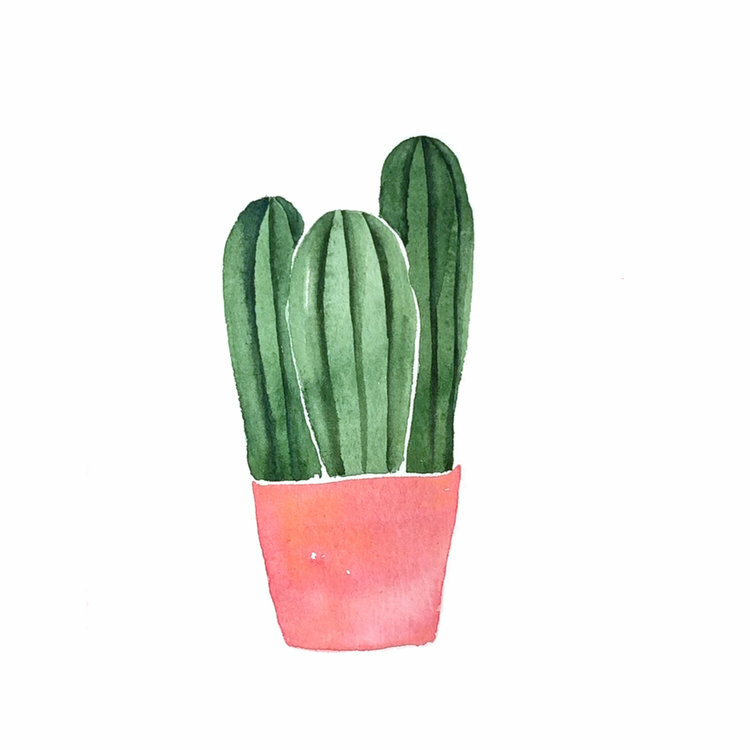 So for today, let’s start with watercolour cactus! Super easy. You just need to know the sequence of painting simple shapes. Here I have the breakdown steps. Also with a time-lapse video. Let me know if you enjoyed the project, or leave a comment if you have any question!